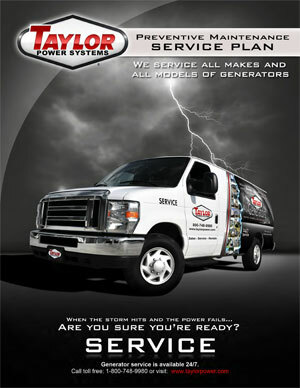 Taylor Power offers preventive maintenance service plans for all major brands of industrial standby generators. We can provide a custom service plan for all of your generator makes and models in accordance with the appropriate service manual specification. We check the 41 most critical points that effect the reliability of a generator system.